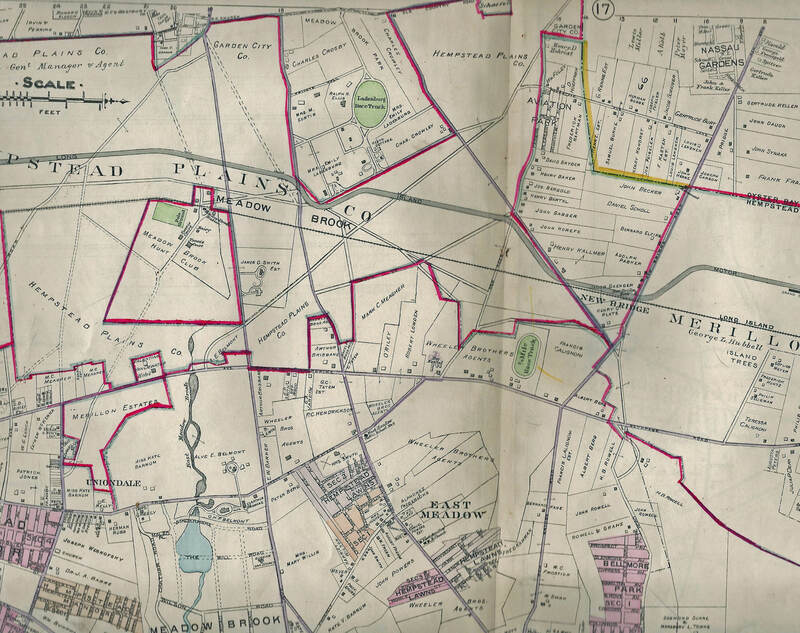 Here is a comprehensive aerial analysis preceded by relevant historic maps of the area. 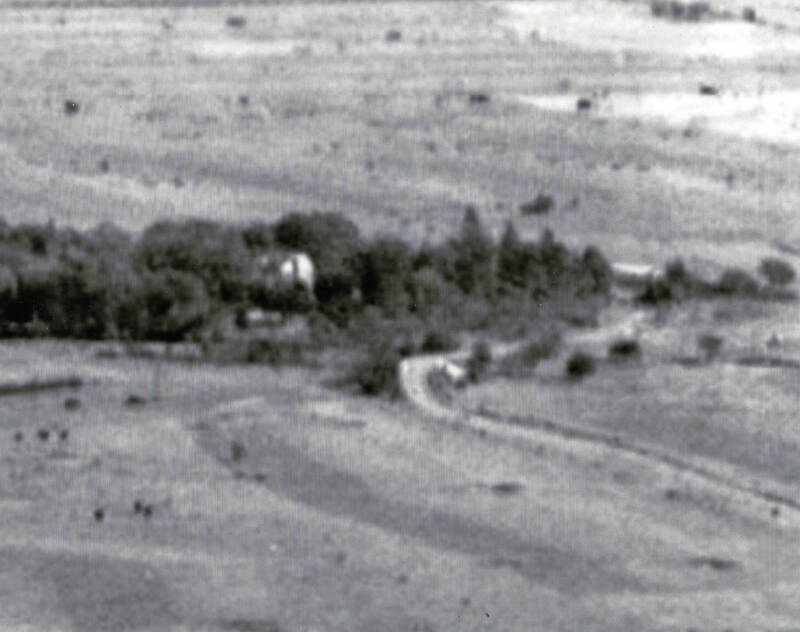 The large property before the Central Railroad belonged to James Clinch Smith, an heir to the A.T. Stewart fortune. 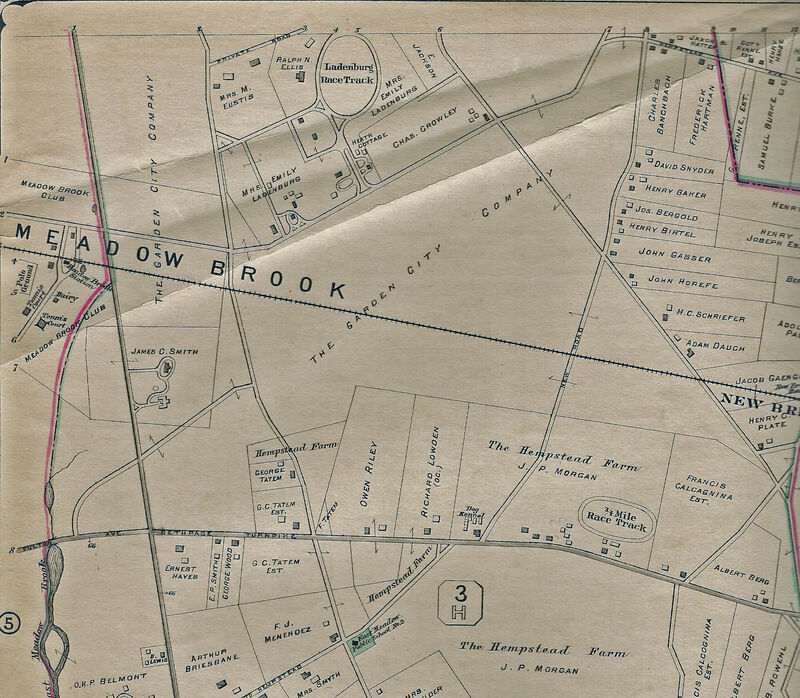 As shown in this map, much of the Long Island Motor Parkway right-of-way was purchased from Stewart's heirs. 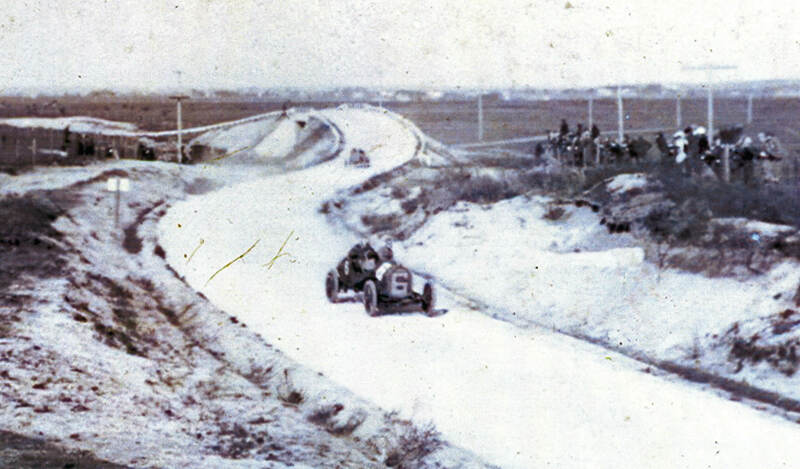 Beginning in 1908, this section of the Motor Parkway was used for the 1908, 1909 and 1910 Vanderbilt Cup Races. 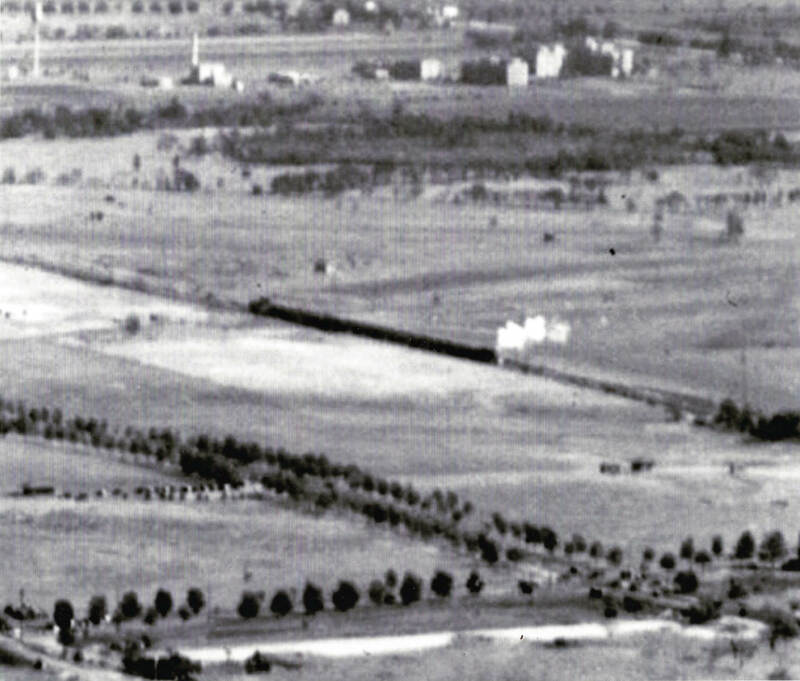 Note the location of the headquarters for the Meadow Brook Club and the club headquarters for the Salisbury Links. 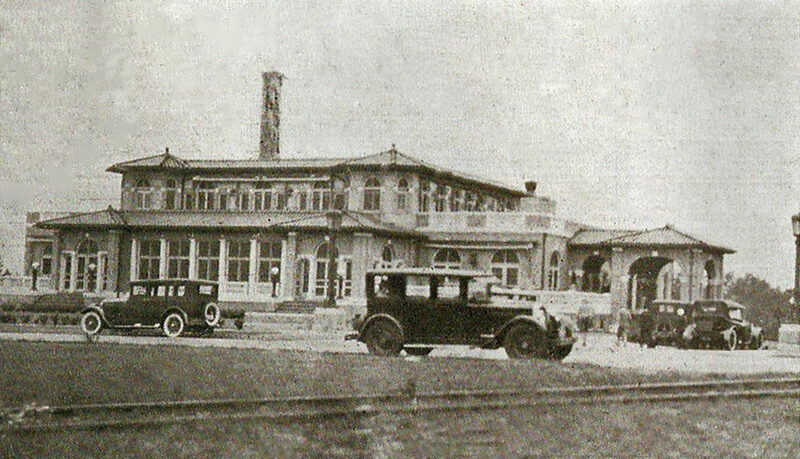 The future clubhouse for the Salisbury Country Club was originally Lannin's Hotel. 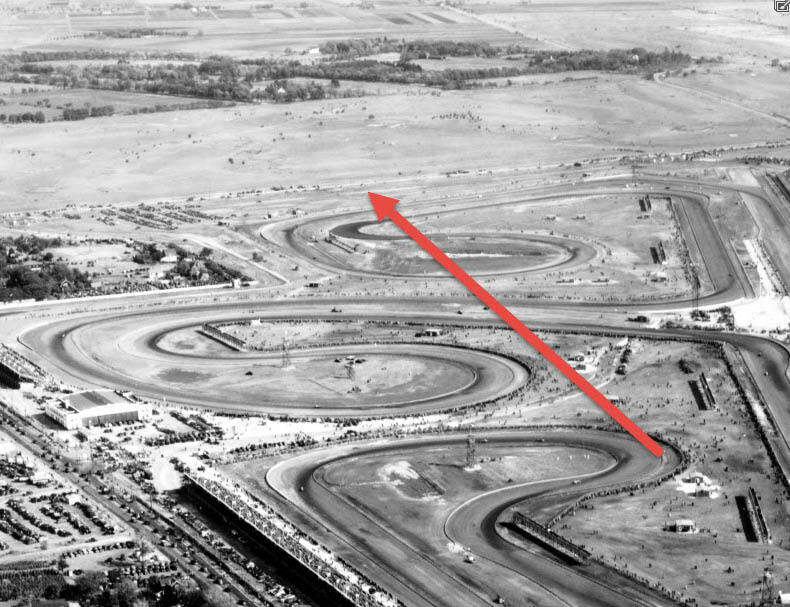 The location of Roosevelt Raceway is now approximately the location of The Source department mall and surrounding malls in the area of Old Country Road and Merrick Avenue. 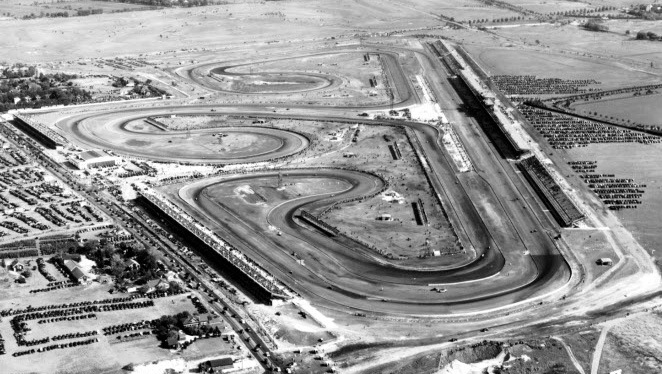 The new Roosevelt Raceway as seen during the 1936 Vanderbilt Cup Race. Look closely and you can see the racers on the track. This former Roosevelt Field airport hangar was used by Roosevelt Raceway. 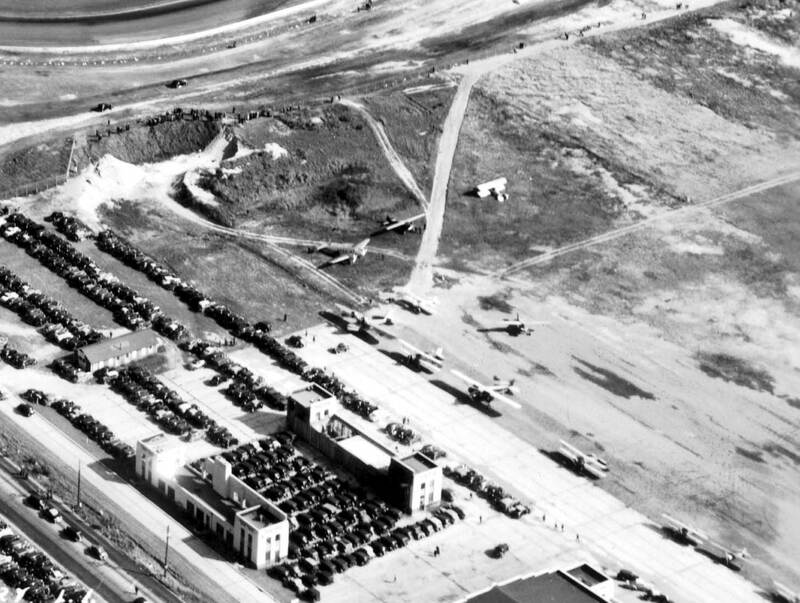 Several airplanes parked at the adjacent Roosevlet Field airport. 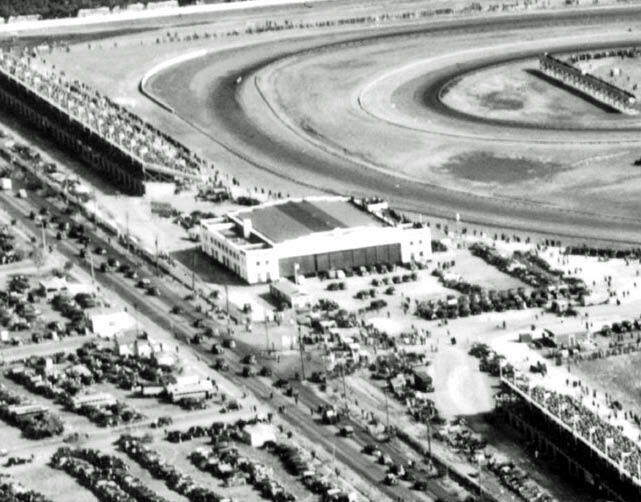 The history of the Meadow Brook Polo Club. The name was changed to Meadowbrook Polo Club in 1961. 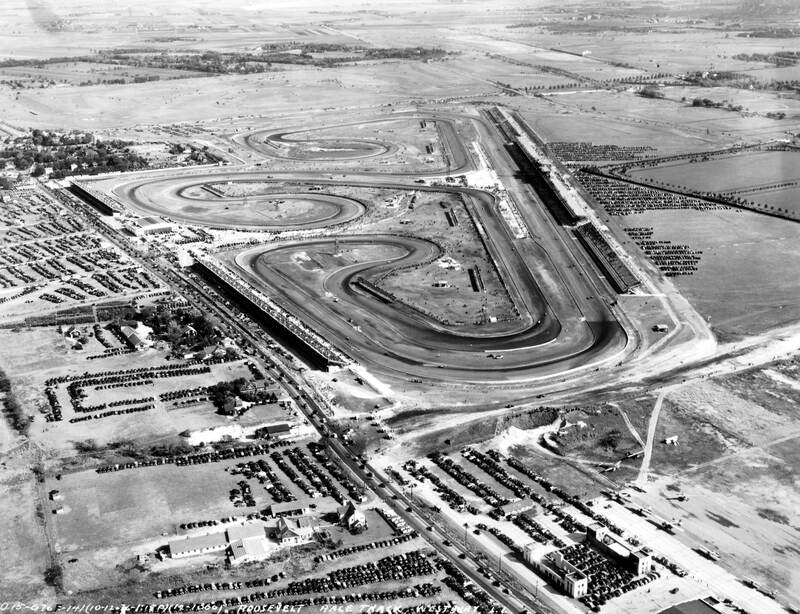 Above the Roosevelt Raceway grandstand in the right corner, you can find the Meadow Brook Lodge and Merrick Avenue Motor Parkway Bridge. The bridge as seen during the 1909 Vanderbilt Cup Race. 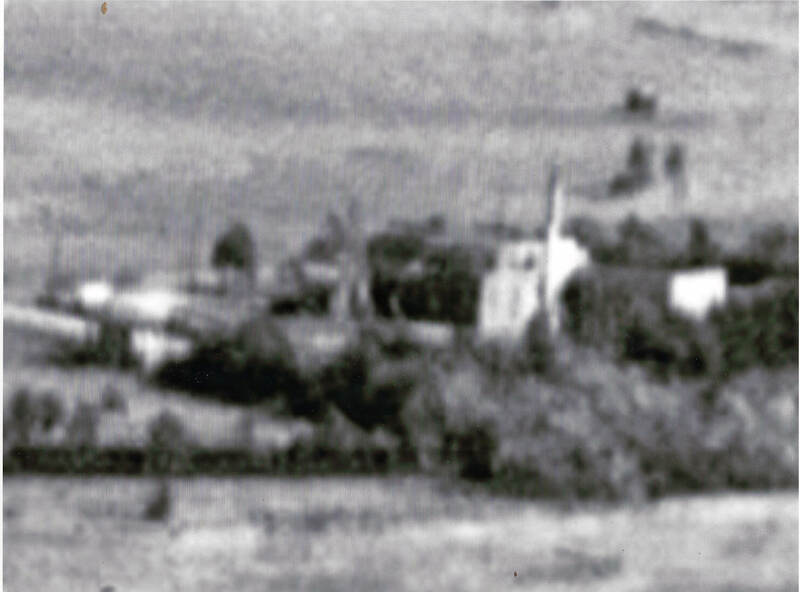 Behind the trees was the former estate of James Clinch Smith (1856-1912.). His East Meadow home was built in 1901 for James Clinch Smith (1856-1912), the son of Judge John Lawrence Smith and Sarah Nicoll Clinch. James Smith was a seventh generation descendant of Richard Smythe, the founder and patentee of Smithtown. Sarah Nicoll Clinch (1823-1890) was the niece of Cornelia Clinch (1803-1886), the wife of Alexander T. Stewart and heir to his department store fortune. It is no accident that the house, originally on property owned by A.T. Stewart, is very close to Stewart Avenue. James Clinch Smith died at the age of 56 years with the sinking of the Titanic. 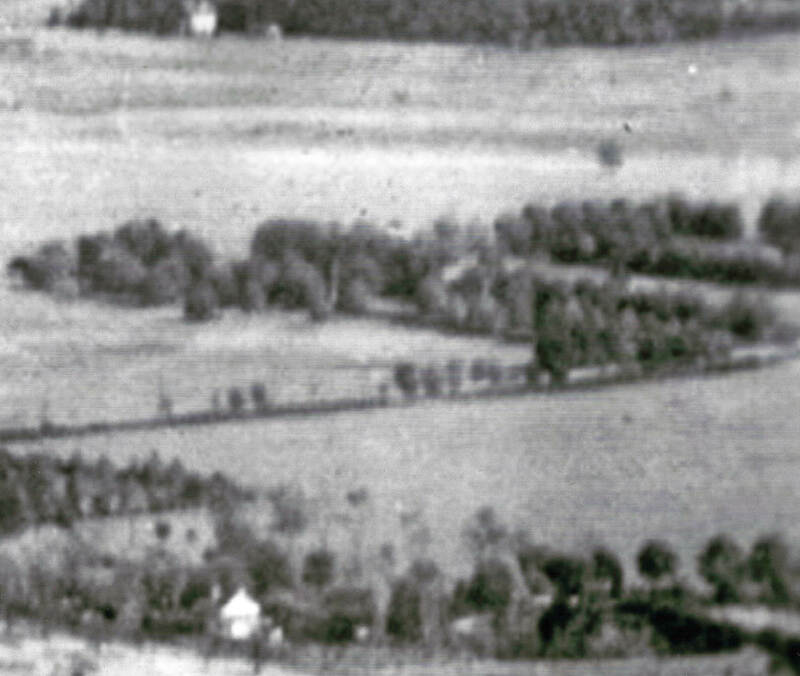 This 1938 aerial shows the location of the estate of James Clinch Smith, east of Merrick Avenue. 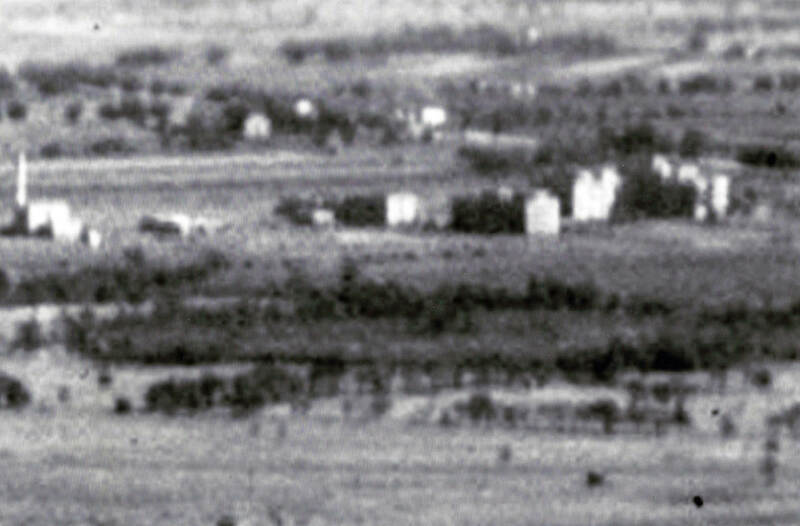 Also, note the cluster of buildings near the Meadow Brook Polo Fields, which served as the clubhouse for their golf club. 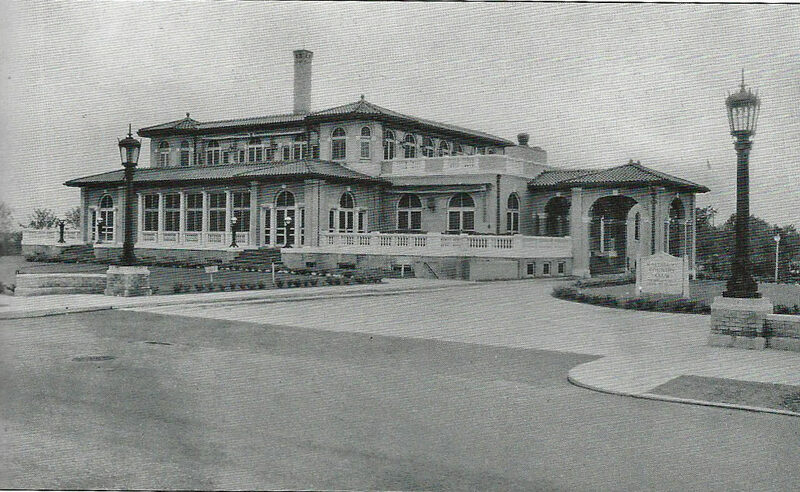 One of the two clubhouses for the Salisbury Country Club was located west of Merrick Avenue. 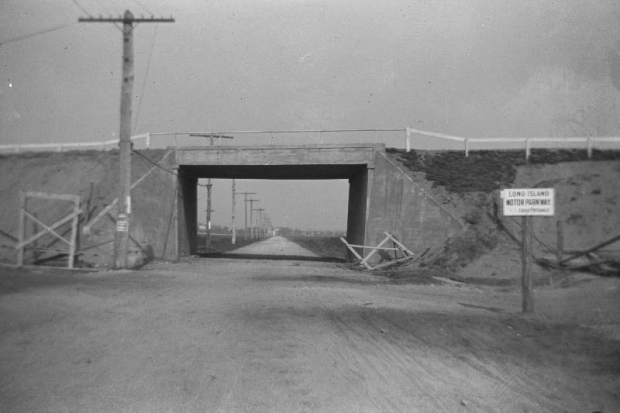 Note the Central Railroad tracks in the foreground. 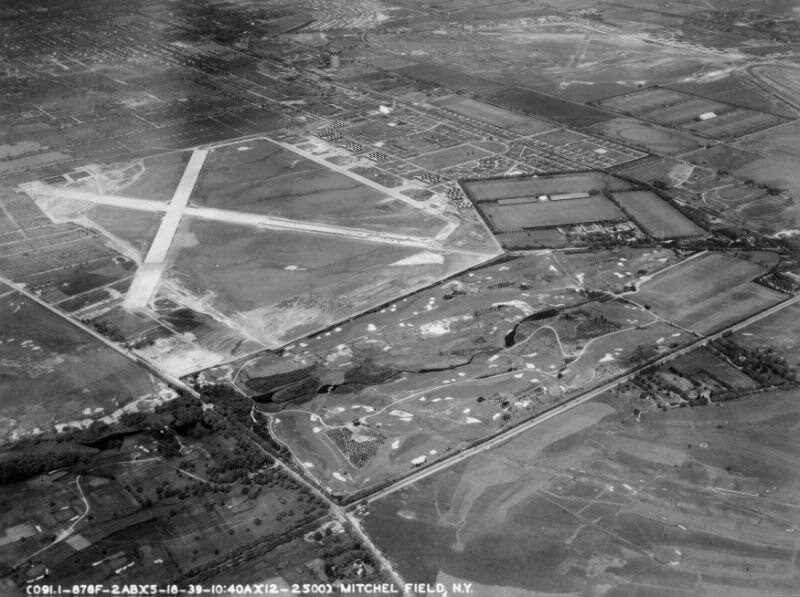 As posted on golfonlongisland.com , " four of the five Salisbury courses were lost during and after World War II – the lone survivor was Salisbury #4, where Walter Hagen won the 1926 PGA Championship. It remains popular today as Eisenhower Park’s Red Course." This may be the only known image of a steam locomotive train in the middle of today's Eisenhower Park. 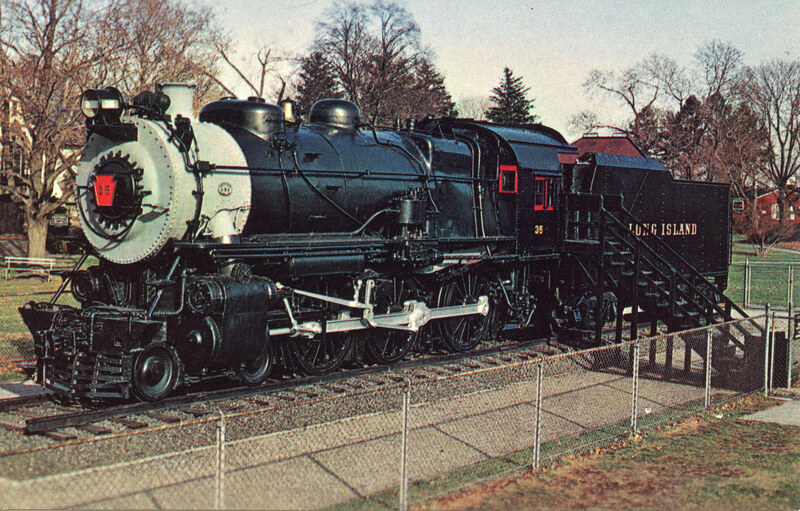 The steam locomotive was likely a G5 class. 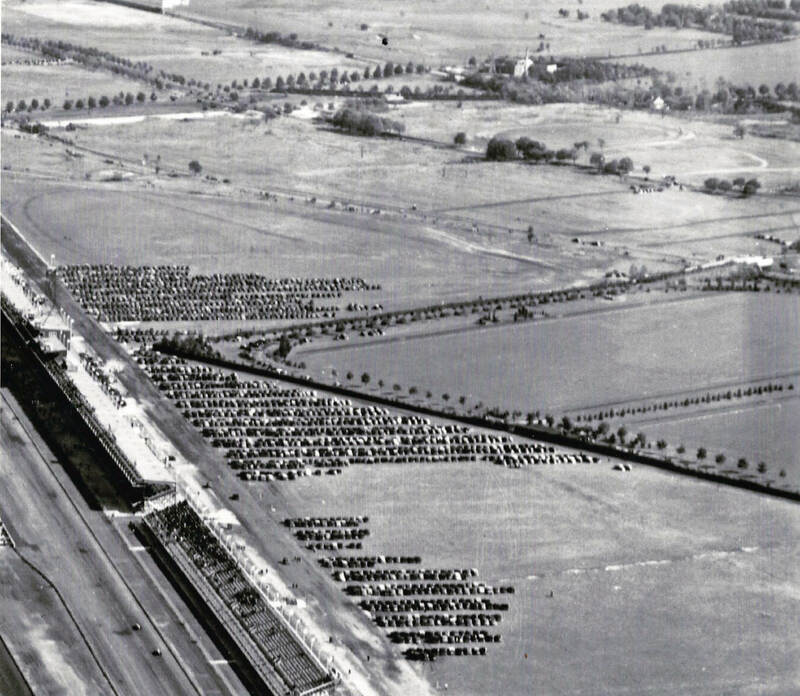 On October 16, 1955 LIRR G5s steam locomotive # 35 pulled the last regular steam train on Long Island after logging 925,033 miles on the railroad. Photo courtesy of Gary Hammond. 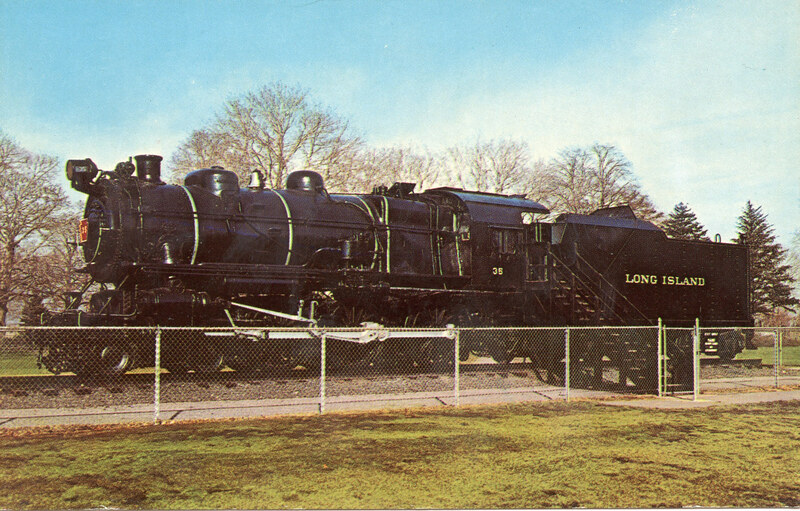 In April 1956, after its donation by the LIRR, the locomotive and its tender would be moved to a spot in Salisbury Park near Merrick Avenue. Photo courtesy of Gary Hammond. 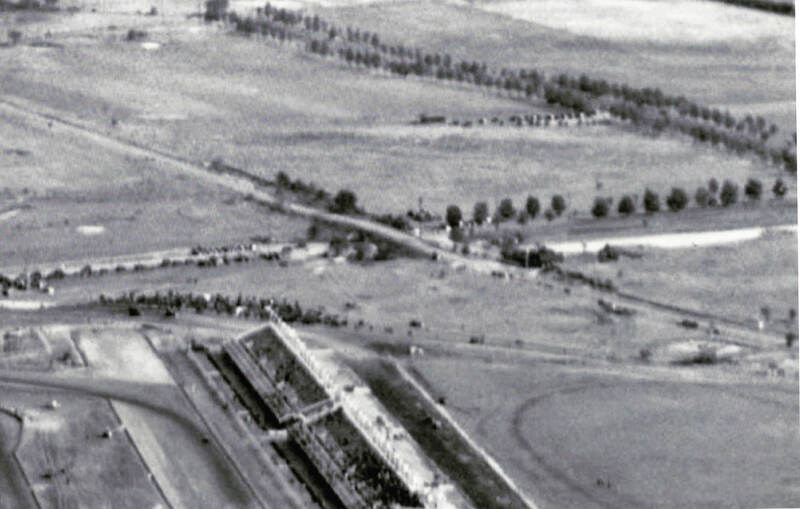 Roosevelt Raceway was built on the former west field of Roosevelt Field, where CharlesLindbergh began his historic flight to Paris on May 27, 1927. Lindbergh's Spirit of St. Louis barely made it over the telephone lines along Merrick Avenue. Will Perkins, a real estate appraiser who specializes in airport properties, has assembled news footage of the takeoff from Roosevelt Field on his website. 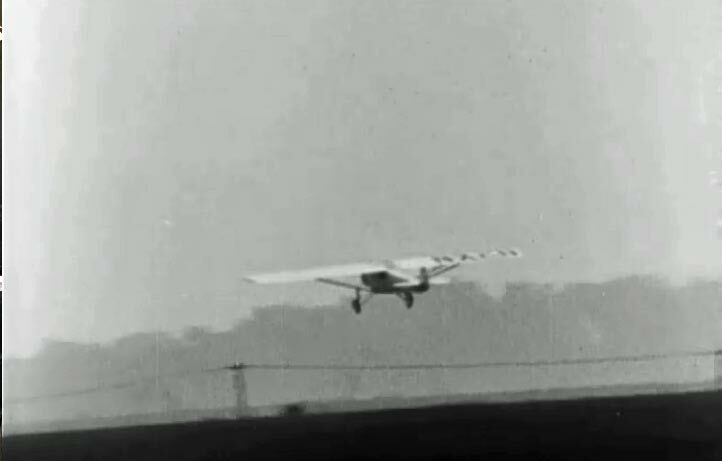 Part 3 of his Lindbergh series shows the takeoff and the Spirit of St. Louis barely making it over the telephone wires on Merrick Avenue. 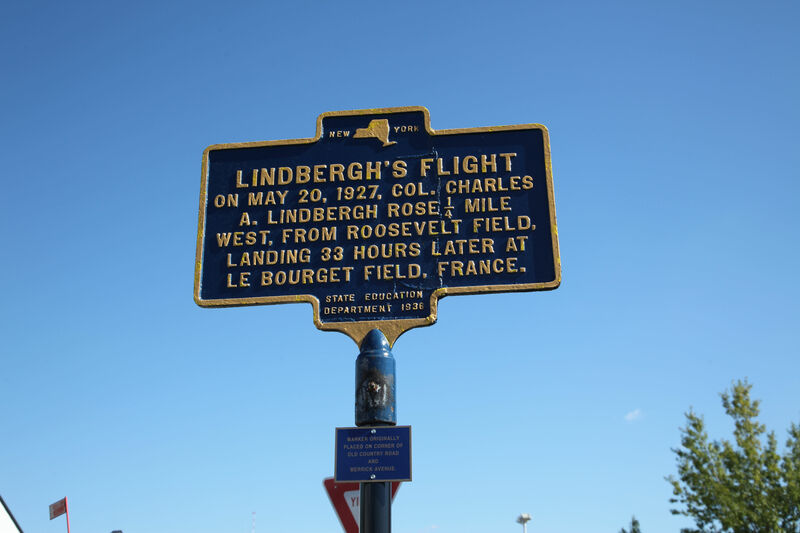 To celebrate the tenth anniversary of the flight in 1937, a historic marker was placed on the west side of Merrick Avenue, directly underneath the wires that Lindbergh just missed. The marker was stolen and lost for many years. Several years ago, the marker was left at the front entrance to the Cradle of Aviation Museum. 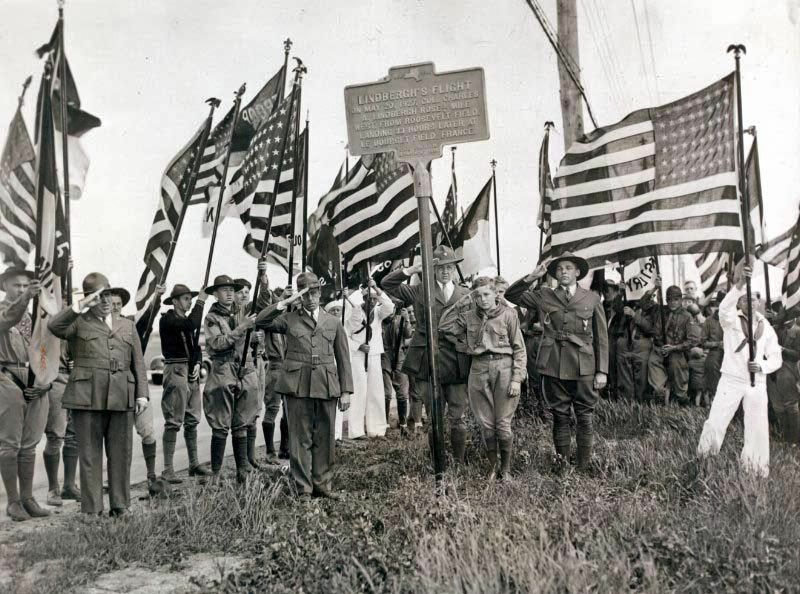 The historic marker is now in the parking lot of the Cradle of Aviation. 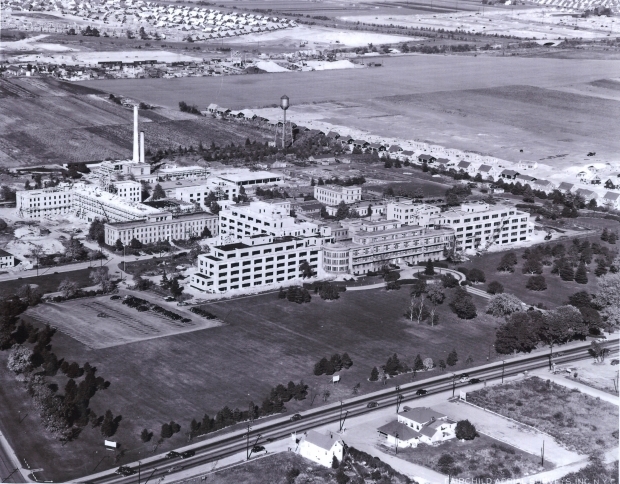 The newly opened Meadowbrook Hospital can be seen in the upper right corner of the aerial. Meadowbrook Hospital, now Nassau University Medical Center, as seen in 1951/1952. As I realEYEz what’s there now…kinda makes me wanna cry! In the most recent batch of photos, the Salisbury Club is the building to the west of Merrick Ave., very close to the CRRLI station, correct? But isn’t that building the Meadow Brook Club? My confusion is in differentiating the Salisbury Club with the Meadow Brook Club. Were they two separate facilities or one in the same? Did the name change at some point? If two, where we they in relation to one another? The building was always the clubhouse for the Salisbury Country Club not the Meadow Brook Golf Cub. 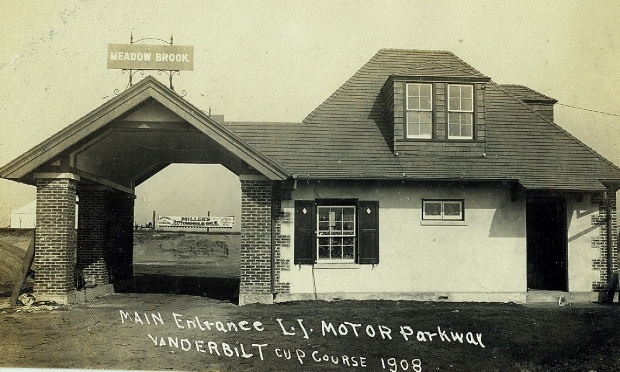 Due to its apparent proximity to the Meadow Brook course, it has often be mistaken as the Meadow Brook’s clubhouse, which was further west nearer to their polo field. 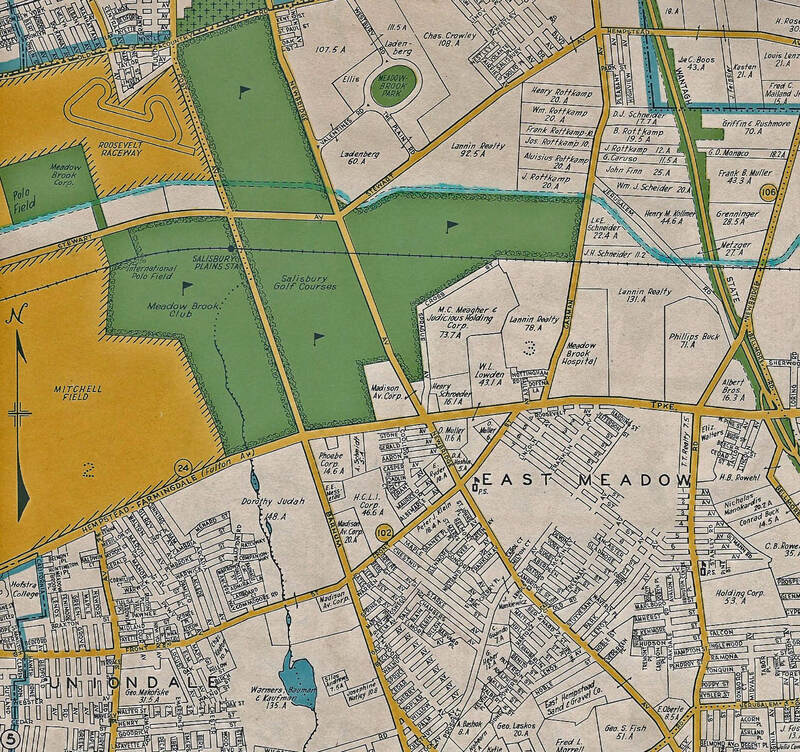 See the above added 1923 map and 1938 aerial. Nothing to do with this,just a quick Happy Valentines Day to all. 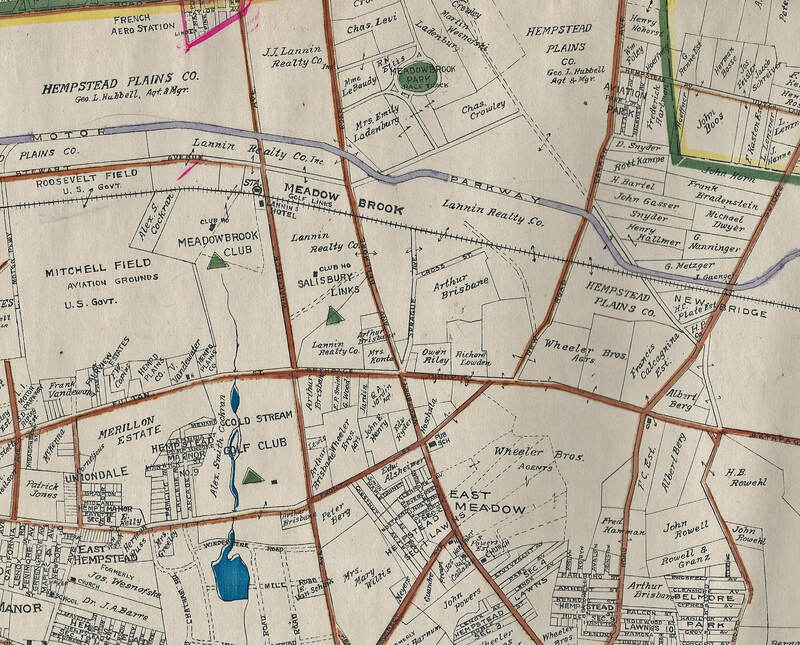 Loved the 1906-1939 maps of Meadowbrook and the surrounding areas, including the early property owners and limited ways of getting around. Then see it progress over the years. It’d be great to spend just one day back there, seeing the original and unrecognizable landscape, but no doubt would soon miss all the modern day conveniences, like paved roads for starters. The aerial photo has nearly been totally transformed today, with the exception of the Old Country Rd traffic still trying to get home.